A failed turbocharger caused a Jan. 5 fire in a 23-year-old Anderson County school bus, the South Carolina Department of Education said. 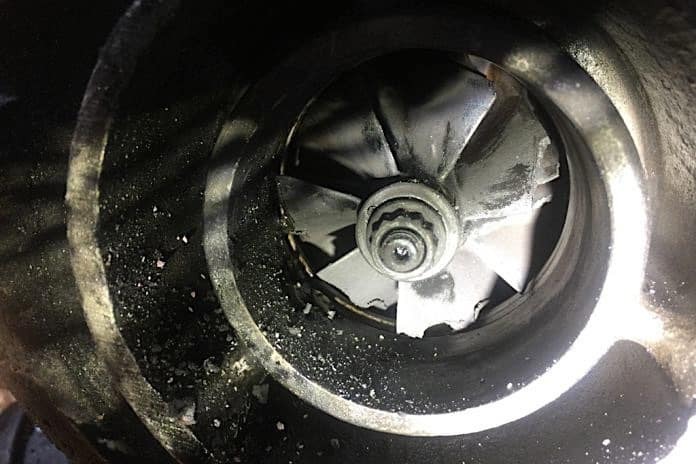 A failed turbocharger was to blame for a fire that severely damaged a 23-year old school bus operated by Anderson County Schools last month, but that luckily resulted in no injuries. Dozens of students reportedly had just offloaded from the bus on Jan. 3 when the fire started. Mike Bullman, fleet director for the South Carolina Department of Education, told STN that the fire was contained to the engine compartment and the exterior surrounding area. He added that the bus was already slated to be replaced before the fire and it will be scrapped. He added that a failed turbocharger can allow engine oil to flow into the hot exhaust system. “The Type D (transit-style school bus) can sometimes exacerbate the problem due to the shortened exhaust system,” he added. The Department of Education operates the oldest fleet of buses in the nation and saw nearly 20 fires or overheated engines since August 2015, per a report by The State. Some relief is on the way in the form of $20.5 million to replace 210 of the oldest school buses. The legislature freed up the money after overriding a veto by Gov. Henry McMaster, citing a fear that the general funds would never be used for school bus replacements. A spokesman for the Department of Education said another $70 million is needed to replace 15-year-old buses, and the Volkswagen Mitigation Trust Fund could result in additional new buses.